Amazing Nature Preserve View with distant ocean view. No driving to get to the beach, it is a short walk away. 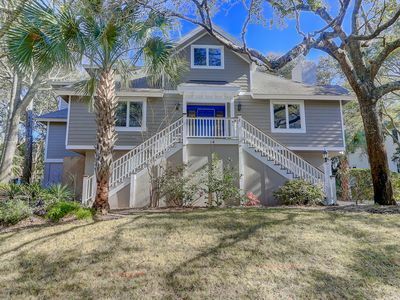 Beautiful Seabrook Island beach home located on North Beach. 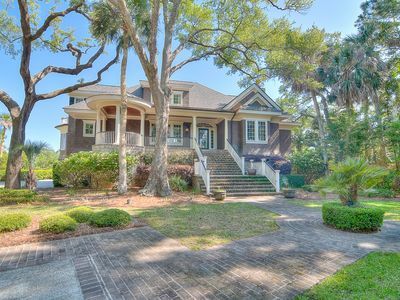 This home offers stunning natural wildlife reserve and distant ocean views. There are a few things that make our home unique in our North Beach Village location. We are one of 4 homes that have no homes directly in front of or behind our home to obstruct your view. This makes our home very private and gives you unobstructed views. of the reserve and ocean. 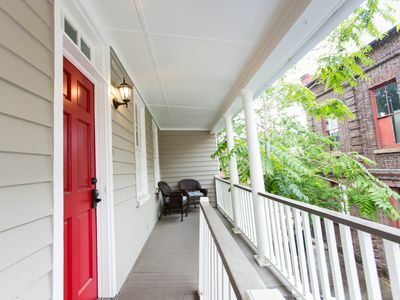 Enjoy all the beauty nature has to offer from the large screened porch or sun all day on the spacious open-air deck. 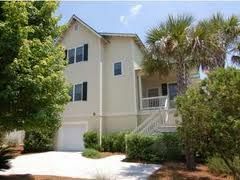 Or walk a short distance down Boardwalk one to North Beach with it's 3.5 miles of very walkable and beautiful beach. This quality home features three bedrooms, three full baths, hardwood floors in full sized kitchen and great room, carpeted bedrooms and comfortable furniture throughout. 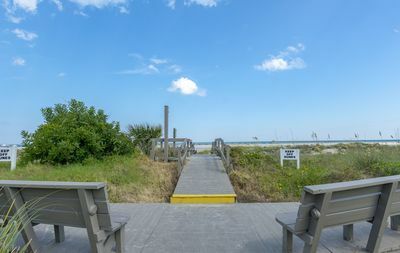 The boardwalk leading to the beach is just thirty yards away (5 homes). There is an outside shower for washing off after the beach, lockable storage area for beach toys and accessories, and covered car parking. Five beach chairs are supplied for your use, along with plenty of beach toys, 2 boogie boards and a beach cart to carry it all. The home layout is set up on one main level. 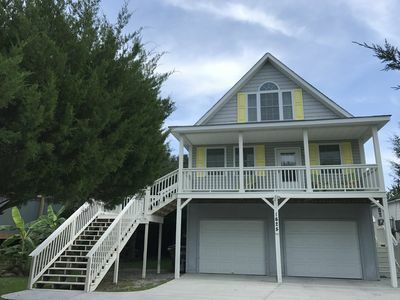 A large, open and high ceilinged great room with many windows and sliding doors is the center of this home offering beautiful views of the ocean, dunes, and nature preserve. Enjoy your coffee or evening drinks in the large screened poarch with dual ceiling fans for the warmer weather, 6 seated dining and 2 chairs to watch the ocean and wildlife in the reserve. Gas grill for your grilling needs. Sun porch has 2 lounge chairs for your sunning comfort. The master bedroom has a queen bed, flat screen TV/DVD combo, ceiling fan and a picture window that offers ocean & nature preserve views. The full bath features 2 seperate rooms with a large tub/shower and toilet in one room and his and her vanity in the other. 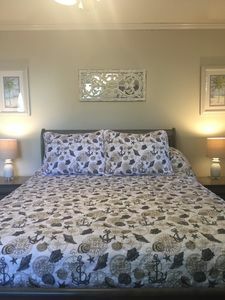 The other two bedrooms offer two twin beds each. 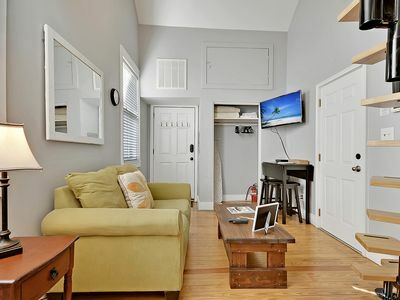 The "blue room" has twin beds, ceiling fan, door out to the porch area, a 40 inch LCD television, Blu-Ray DVD player and XBOX 360. 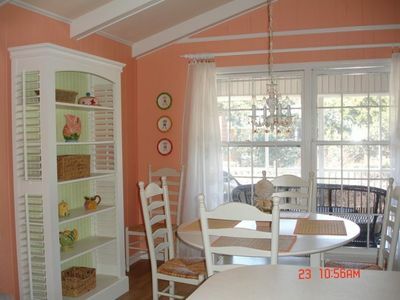 Great room for the kids in your family. Their is also an ensuite bathroom. Bathroom has a tub and shower combo, single sink and toilet. The other bedroom "green room" has twin beds that can be converted to king bedding, on request. Ceiling fan. There is a full bath in the hall right outside of this bedroom which has a bathtub/shower combo, single sink and toilet. 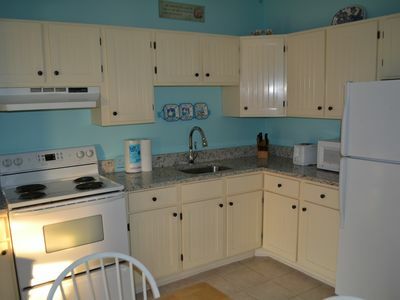 Kitchen is full sized, unlike many of North Beach Village homes that offer a galley kitchen. 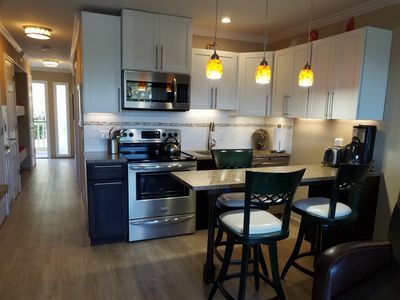 Kitchen is fully stocked for all of your cooking needs and is open to the great room. There is an HE washer and dryer for your laundry needs. Wireless access is available throughout the home. Board games, puzzles, books, DVD library and XBOX 360 are available for your use. The downstairs beach storage area has plenty of supplies for your day at the beach. 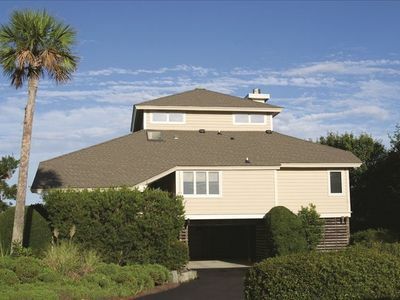 Seabrook Island Club Amenities cards are included with your rental. 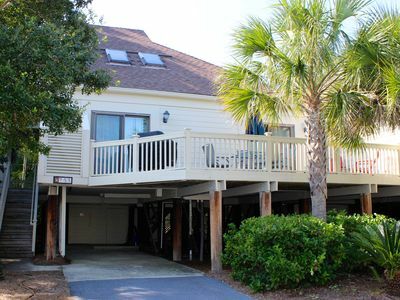 Amenities include two challenging golf courses, fifteen composite tennis courts, a pickle ball court, equestrian center offering trail and beach rides, 2 outdoor pools at the Beach Club. There is also a gym, indoor pool and outdoor pool at the owners club located at the Lake House. Usage fees are renters responsibility. Your amenity card will give you free access to the Beach Club 2 pools and the outdoor pool at the Lake House. You have access to all the great amenities that SBI offers with your amenity card with a usage fee. Please note, the Oyster Catcher pool is a properties owner pool, you will not be able to use it unless you have a family member or friend whom lives on the island and takes you as a guest. North Beach is a spacious beautiful beach. Dolphins can often be seen along the three and one-half miles of Seabrook Island beach. The beach is flat and offers great walking, jogging, bike riding, and fishing opportunities for those so inclined. During the summer there are many opportunities to see the Loggerhead baby turtles hatch and watch them make their way to the ocean. We also have bottlenose dolphins that make Seabrook their home. you will see them off the coast and if you are lucky, you may see them strand feeding down at Captain Sam's inlet, it happens usually at low tide. Head left on North Beach and follow to the end of the beach about a 3/4 mile walk. Should any problems arise during your stay, the home comes with a property manager. In event of an emergency, they can be reached twenty-four hours a day, seven days a week. 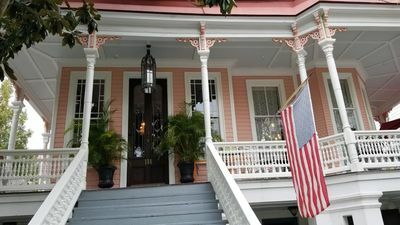 We (the owner's) are also available during your planning and visit. 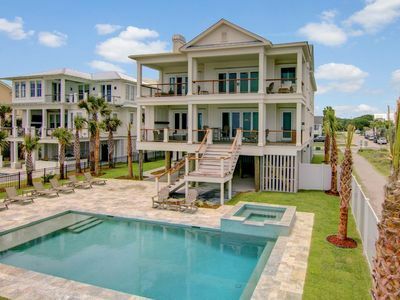 This home has it all and we know you will enjoy our beach home. 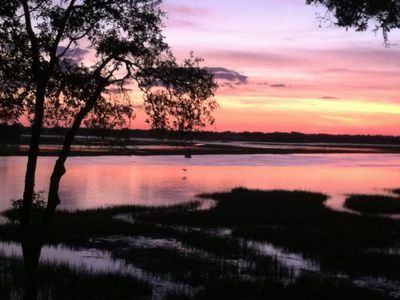 There is so much to do and see on Seabrook Island and North Beach is the ideal place to be. We take pride in our home and consistently take time to make it comfortable for our guests. We have many guests whom return each season, Jerry and I welcome you to our little piece of paradise. Please note some have commented in their reviews that the pool across the street is accessible, it is not included in your amenity card access This is the Oyster Catcher Pool that is only accessible to Property Owners and accompanied guests. Those that have commented had relatives that gave them access. You are welcome to use the Beach Club and Lake House outdoor pools with your supplied amenity cards. 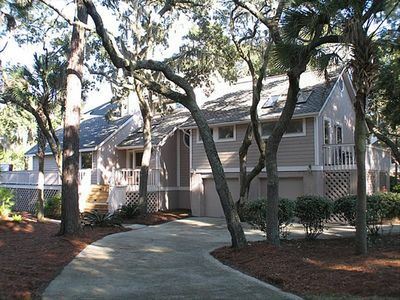 Super 3BR/2BA Spinnaker! Updated Kitchen! Great Family Villa! Close to Beaches! 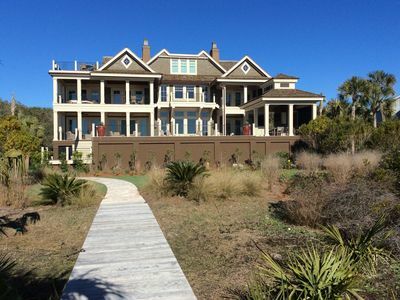 Book Soon For New Lower Rates On Kiawah Island! 2nd floor villa with great ocean views! 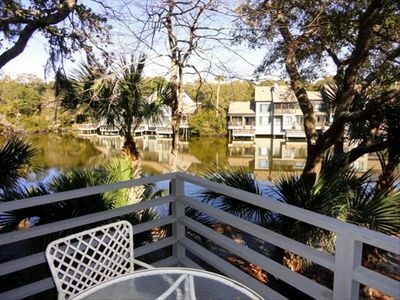 Sunset Overlook, 2Br/1Ba @ Ocean Inn, Pool, Pet friendly, perfect location! 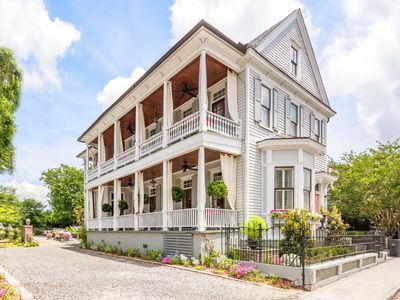 Live like a Local in the Destination City of the U.S.! I'M GORGEOUS ON THE INSIDE! Ya'll will love me! Pluto - Modern Loft Steps From King Street! 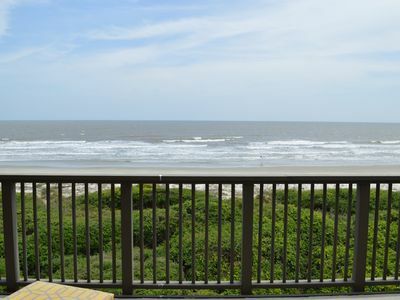 IOP Wild Dunes 3BR Condo Ocean & Pool View!